The little girl introduces herself in English. It is early evening but half of the family is already done with the day. 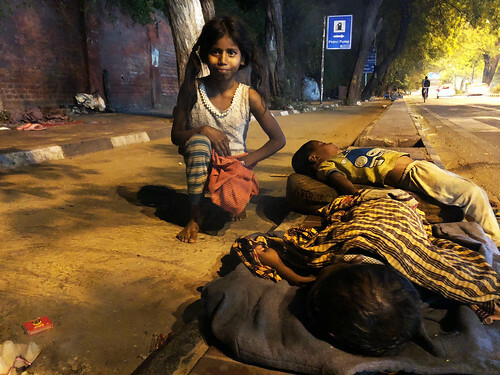 Sanya’s two younger brothers are deep in dreams — slumped by the road, inches away from the evening traffic. 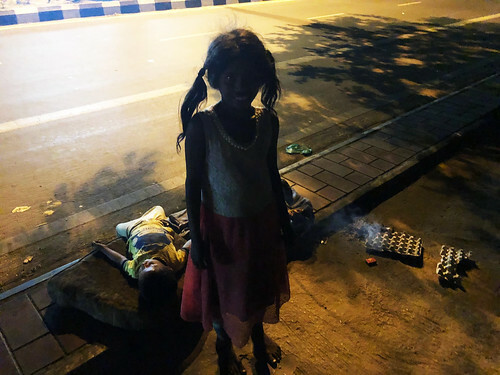 The young girl lives at a south Delhi pavement. Her mother is a homemaker. 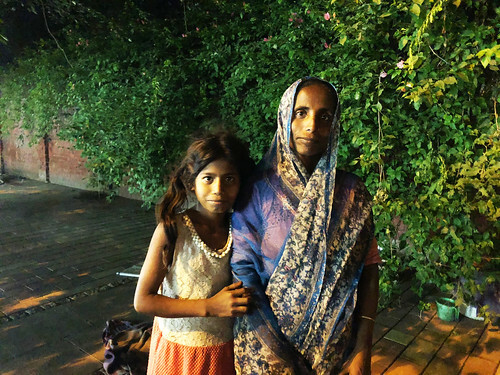 The father, a papad seller, is awaited home though Sanya must soon go to sleep. 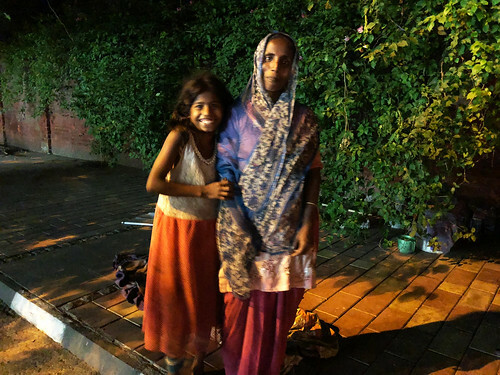 “Mummy wakes me up at 6am with anda and doodh and then I walk to the school… all by myself,” she says in Hindi, shyly, all the time being prompted by her equally shy mother. Sanya’s ambitions are even more specific. She wants to teach English to her future students. That may become possible one day though for now she can speak only a single sentence in that language — the one in which she introduced herself. “My English is bad,” she says, looking at her mother who protectively places her arms around Sanya’s shoulders. 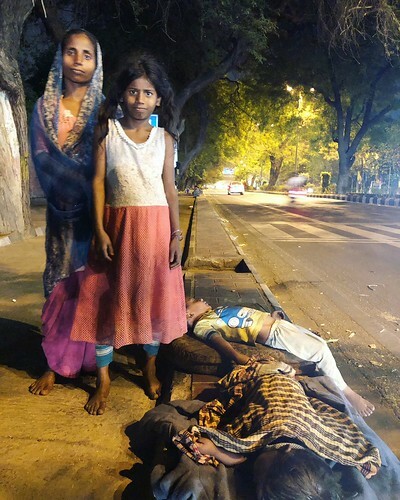 Soon afterwards the girl picks up her slumbering siblings one by one and moves them to a mattress her mother has laid on the safer end of the pavement.